What was going on a hundred years ago in Oak Lawn? 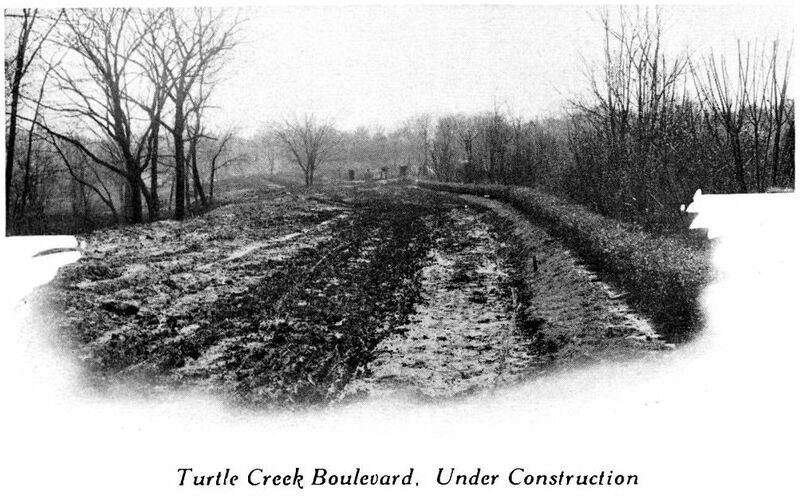 Turtle Creek Boulevard was being constructed! Construction was overseen by the Park Board, which probably explains why it is one of the most beautifully landscaped roadways in Dallas. 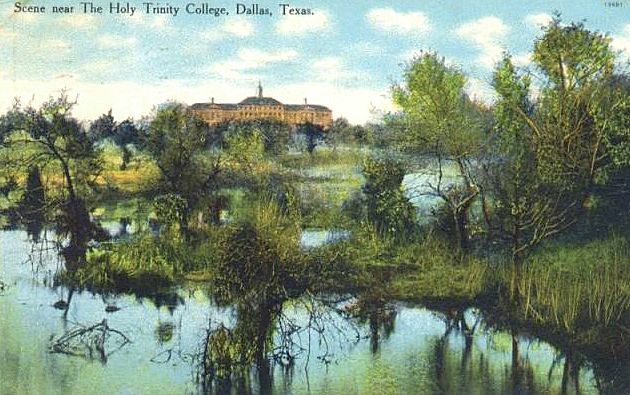 Incidentally, the “University of Dallas” mentioned above refers to the original location of the University of Dallas, first called Holy Trinity College. It moved northward in the 1940s, and Jesuit High School took over the building. I’m really surprised to learn that this huge building was located near Turtle Creek and Blackburn until Jesuit moved north to ITS new home in the early 1960s. 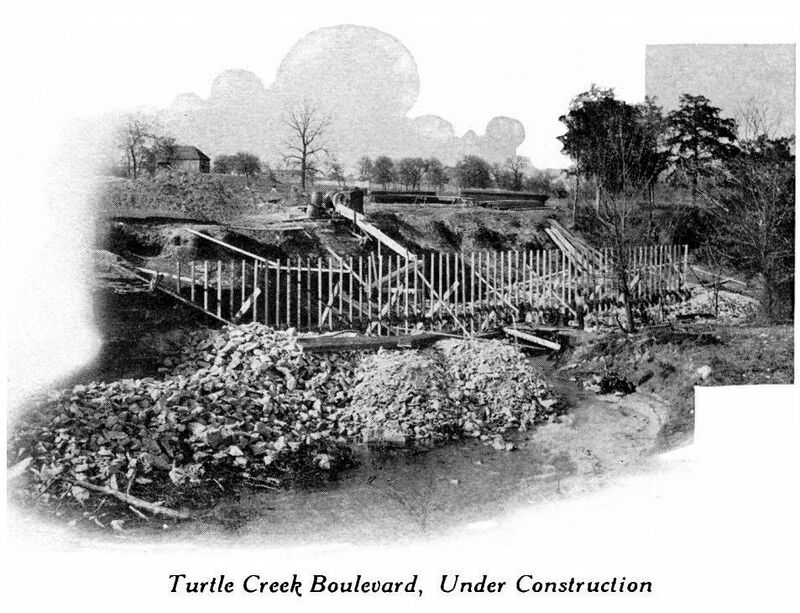 And here it is, snug on the banks of the turtle-infested creek, around 1909 (in a photograph that does not do the lushly beautiful area justice). 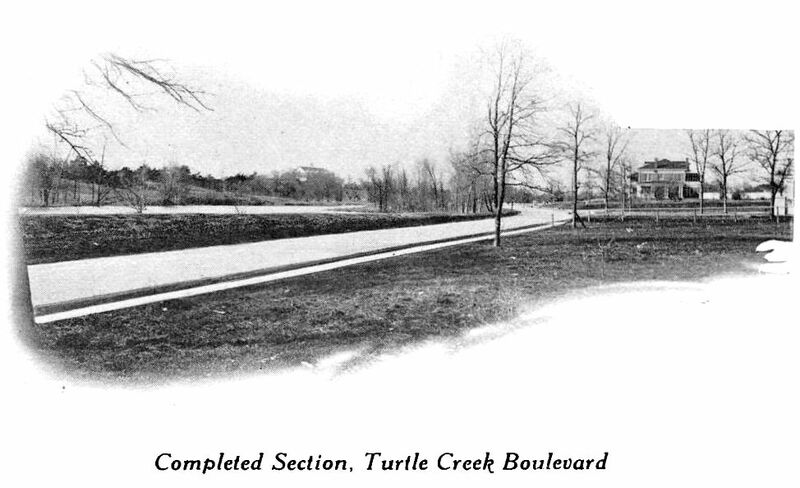 Photos and text from the Report for the Year 1914-15 of the Park Board of the City of Dallas (Dallas, 1915), pp. 63-64.